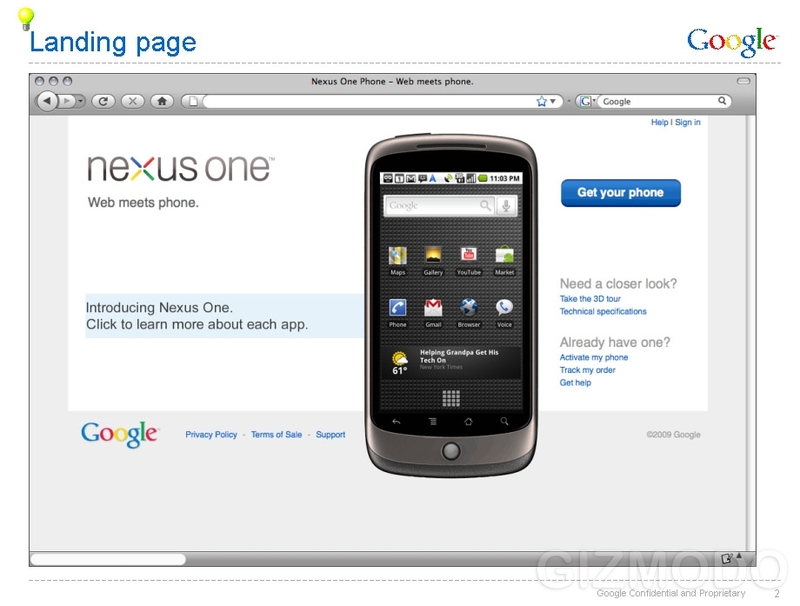 Google Phone - Nexus One Price Revealed! • If you cancel your plan before 120 days, you have to pay the subsidy difference between what you paid and the unsubsidized price, so $350 in this case. 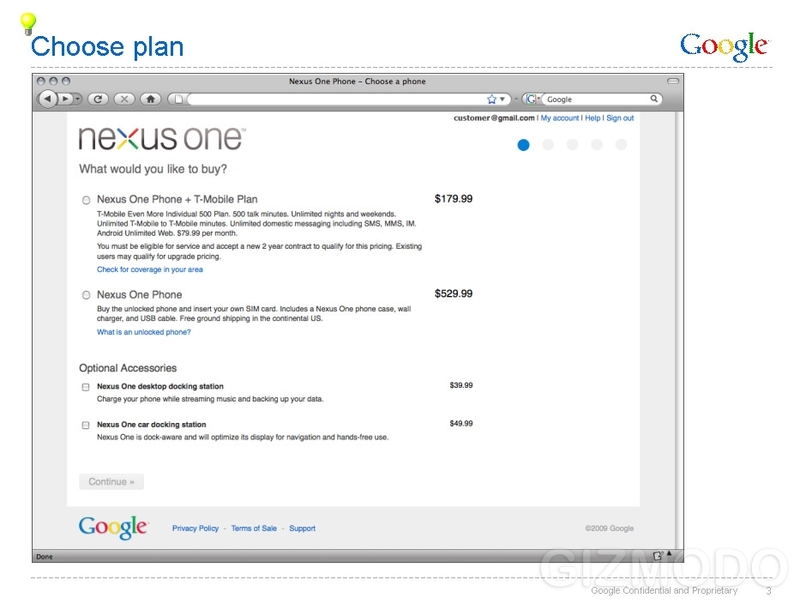 Or you can return the phone to Google. You also authorize them to charge this directly to your credit card. One weirdness in the Terms of Sale that we quickly glanced through was that Google made sure you acknowledged that the manufacturer is HTC, and not Google.